I wrote: Gettin' Lost Planet and Metro vibes here. And that's a very good thing. 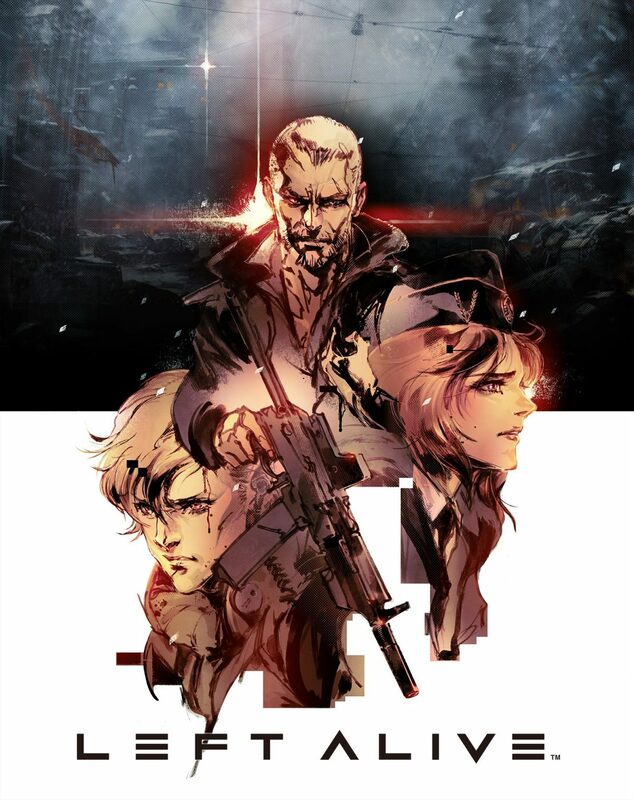 Giuseppe Nelva wrote: Remember Left Alive? If you need a refresher, it’s Square Enix’s Front Mission successor announced last year at Tokyo Game Show, and pretty much kept under wraps since then. Well, it’s still coming, and today I sat with Director Toshifumi Nabeshima and Producer Shinji Hashimoto, who introduced me to the first look at gameplay. While I can’t show you the actual gameplay, I have some screenshots, which you can see at the bottom of the post. First of all, the game is most definitely not just a “boots on the ground” shooter, there will be plenty of sections in which one of the three protagonists will ride one of Front Mission‘s iconic Wanzer mechas (stolen from the armored forces that have invaded the city that serves as the setting of the game) in pitched robot battles. Interestingly, players will often be able to choose whether they want to face the soldiers guarding the wanzer or take another approach on foot. Foot combat is very tactical, with limited resources (the three protagonists found themselves in the middle of a war all of a sudden), and the necessity to play it smart and tactically, using traps, improvised weapons, and crafting to fight against enemies that often outgun you considerably. Choice plays a large role in the game, part of which revolves around rescuing civilians trapped in the city. All of them have their own motives and backstory, and often it’ll take quite a lot of convincing to get them to follow you. You can also decide to abandon them to their doom if you can’t convince them, or even if you just decide that you don’t care. At the end of the game, you won’t just know what happens to the three protagonists, but also to the civilians you rescue, altering the story with your own choices and actions. It will be out February 28 in Japan and March 5 in the West. Insomnia wrote: The cutscenes, voice acting and graphics are truly something everyone should experience. It's not at all like an old 2008 game without any spirit whatsoever.